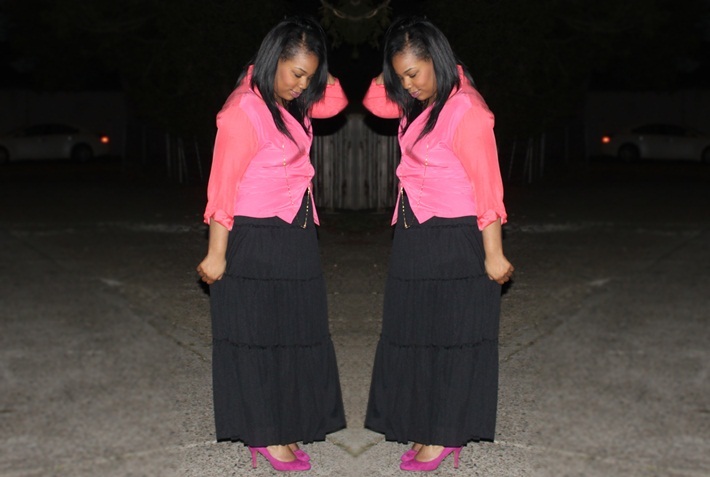 I just adore the mix of the pretty shades in this top and the stark blackness of the maxi skirt. Now that the temperatures are getting warmer, pretty colors, skirts, and dresses will be the norm for me. YES! What a refreshing change; I am so ready to put the heavy coats away. I hope you are having a wonderful week! xoxo, thanks for reading!